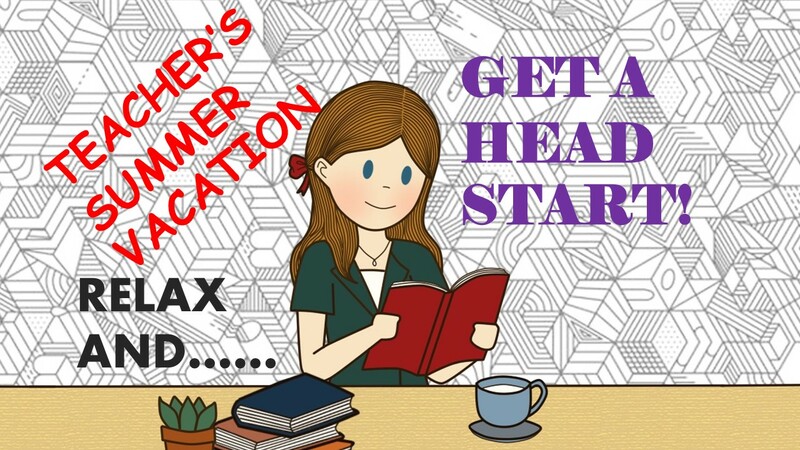 Teachers: Relax and Use Your Summer Vacation Wisely! It’s finally here! You’ve worked hard all term, perhaps even counting down the days, and now it’s the summer vacation! If you’re teaching in a British or American school, or at an accredited International School overseas, then you’ve probably got a nice 6-8 week holiday to look forward to! Time to put your feet up! Most teachers would agree that we need our vacations. We work so hard during term time and we only really realise the strain this has placed upon us mentally and physically when we do get the chance to have a holiday. It’s DEFINITELY important to rest now, but; and many experienced teachers will hate me for this: it’s also time to start considering your plans for the next semester/term! In my debut book: The Quick Guide to Classroom Management, I include numerous case studies of teachers who got their time-management all messed up, and paid for it massively! For my next book: Marking and Assessment Strategies, I invited twenty educators from all over the world to offer their advice on time-saving marking tips. One common theme that permeates their advice is the productive use of holidays and break-times, along with great tips such as ‘live-marking’ and using peer-assessment strategies. What do you plan do during this school vacation? Take a look at this list. Could you find time for some (or all) of these? Top Tips for Time-Saving Teachers: Using your holidays to relax AND get a head start! If possible, find out which classes you will teach next semester. Even if you only know some of them, start planning ahead. Draw up a curriculum map of the topics you will teach and the order you will teach them in. This will save tremendous time at the start of the new semester. You’ll be ahead of the game when everyone else is rushing around trying to figure things out! Plan your marking! I talk about this extensively in my soon-to-be released book. Examine your syllabuses and long-term planning closely, and cross-reference it with your school’s academic calendar. Look for weeks when paperwork could get heavy (e.g. around the time when reports need to be written, parent consultations take place and when exams and tests need to be taken). Think about the assignments and homework you will set, and plan ahead so that you spread out your marking evenly over the whole year. This will save you many a future headache! Read ahead! If you’ll be teaching unfamiliar topics then look them up, and make sure you can do the questions that you’ll set for kids. Subject knowledge acts as a great confidence base that improves and enhances your classroom performance. Gather your resources together! The last thing you want to be doing is fumbling around finding PowerPoints, Prezi’s, worksheets, assignments, and tasks whilst you’re on the job, teaching a full timetable! Get prepared now, and enjoy a happy work-life balance when you’re back in school! Go to school the week before you start and get some printing done! Now, I know that many readers might not like the idea of this. However, when you consider the mad rush for the photocopier that will ensue in your first week back, you can see how it makes sense to get a head-start. Get your life back on track! Have you been skipping your gym classes? Too tired to do your morning run? Get your routine back in order and set your body clock to rise early and retire at a reasonable time. Keep up your new routine, and plan ahead so that you can keep doing it when you’re back at school! Can you add any more items to the list? Please feel free to comment in the box below.